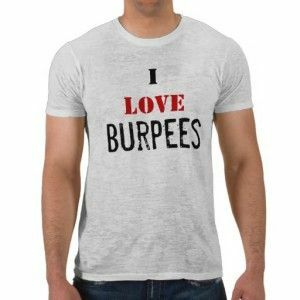 Yet, should you really be hating on burpees or should you actually just learn to love them? I mean, lets be honest… If an exercise gets made into a shirt slogan, it has to be pretty dang good right? Below are five reasons that I challenge you to start loving this unique and very challenging exercise. Be sure to read to the end and take a look at the two challenges I have for you! 1. You will burn a ton of calories. Research tells us that the more muscles we engage during a workout, the more calories we will burn. When doing a burpee, you engage your core, upper body, and lower body. Essentially every muscle in your body has to work together to make this movement happen. This means that you will burn a ton of calories while doing burpees and have extended calorie burn once your workouts are finished. 2. There are a ton of variations. I am making up new burpee variations all the time, so get creative with it. ==> The Big Book of Beautiful Burpees <—— Over 50 burpee variations… FIFTY! 3. They can be added to just about any workout. Upper, lower, or full body day… It doesn’t matter. Burpees can be added in. In fact, I can’t think of the last time I worked out when I didn’t incorporate burpees somewhere in the workout. They are perfect to be placed as a finisher or to be put in between exercises. Try one of my burpee finisher challenges: 50 burpees as fast as possible. That is it. Time it and beat it each time you do it. My current record is 2 minutes and 51 second to complete all 50. You want to sweat, breath heavy, and feel as though you just sprinted the mile… All in under 60 seconds? Burpees will do this. If you do not believe me, try doing as many burpees as possible in 60 seconds… Then come back and tell me how you feel. 5. You can do them anytime, anywhere. No matter if you are at home, the park, gym, or on vacation in your hotel room… You can do burpees and burn a ton of calories. All you need is a 5X5 area and you are good to go. The burpee may be the single greatest exercise of all time. Aside from sprints, this comes in at number two when trying to burn massive amounts of belly fat. Once the two minutes is up, immediately do as many burpees as possible in 60-seconds. If you can get 22 or higher, you get a free gift!